As fires rage throughout Texas, we should remember that besides brush, farm land and homes, wildfires are a danger to many industrial sites. According to today’s Texas Forest Service incident management situation report, a wildfire designated the Frying Pan Ranch fire in Andrews Co. has been contained, but not before scorching 80,907 acres. 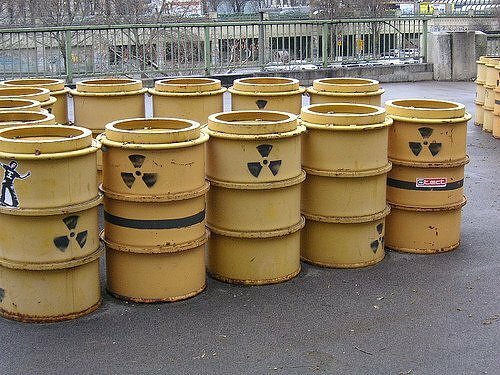 While a remote and sparsely populated area, this corner of Texas is home to the controversial Waste Control Specialists’ (WCS) low-level radioactive waste disposal site. Currently, two bills are moving through the Texas legislature (HB 2184 and SB 1504) which could open this site up to waste from the rest of the U.S. without significantly reducing the liability to Texans should there be a transportation accident or should there be a leak at the site. I haven’t even seen anything about what issues are at stake in the event of an incident of wildfire. 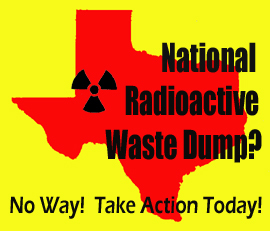 If you are concerned about this radioactive waste dump, contact your representative and tell them to make sure we don’t move forward without making sure that Texas taxpayers don’t end up holding a big bag of radioactive liability. Click here if you don’t know who your representative in the Texas House is.